Whenever I write a review for Spiritualized I find myself bombed with questions as to the state of Jason Pierce’s health, wondering if he’s still epically dosing and drinking … to which I can only say “I’ve know idea.” I will say that his release Songs In A&E was laced with material regarding sickness and redemption, songs that barely broke the four minute mark, and seemed to indicate that our wayward traveler had been taking some stock in himself while doing some deep consideration. To that end the first single form Sweet Hear Sweet Light, originally to be entitle Huh?, was the blistering “Hey Jane,” a rocking and mildly jazzed out number that clocks in at nearly nine minutes, and comes off as a topdown drive through the city in search of something, though we’re never told what. With that in mind, I must admit that I didn’t see Sweet Hear Sweet Light coming, an album filled with orchestration (yes, an actual orchestra), around which are are built swaggering swaying hypnotic blues ah-la Robert Johnson, where Pierce says, “I want to make music that catches all of the glory and beauty and magnificence, but also the intimacy and fragility of life, and do it all within the space of the same ten seconds.” I’m not sure what that “same ten seconds” is all about, but he does create a great and masterful world, if only in his own head, where Lou Reed would have been comfortable living, a universe filled with girls named Mary and Jane (Maryjane standing in for marijuana? ), freedom, fast cars, loyalty, death, self-loathing, Jesus (a reference back to the Spacemen 3 song “Walking with Jesus” which was about using heroin) and of course God (though in Jason’s world God creates nothing, does nothing, offers no helping hand, is simply an expletive, or acts as a sort of thematic moral compass that Jason looks to when things float out of hand, though when things are good, who needs a god of any sorts). As much fun as the music is, the liner notes offer an even deeper understanding, where he goes on to thank the doctors by name who got him through this eight month process while undergoing liver treatments, where he references Huh? (placed within a outline of a Stop sign) as a nod to his depressive messy and jumbled mental state. Say what you will, it’s important to understand that every character brought to light, what they say and how they live and survive in these songs are stand-ins for Jason Pierce, allowing them to express the things that Jason would never admit to, ideas and concepts that he could not possibly attain, only envision while falling back into his old habits. "Bewilderment" was the first word that came to mind after listening to this adventure which is, with Spiritualized always being a Jason Pierce (J. Spaceman) effort ... setting forth on another questionable chemical adventure, at least that’s what the album art with an imagined element from his own personal Periodic Table might suggest. Though once I made the adjustment and settled in, content to listen to his orchestral arrangements, arrangements filled with rhythmic cycles in zero gravity, images of Brian Wilson began to tumble through my head, images that were instantly meshed with The Beatles’ Magical Mystery Tour, where hypnotic wonderings were mixed with classical structures and drifting drug induced rock n’ roll, all layered in reverbed backwashes of coloured sound and a calculated intensity that ebbed and flowed, building from almost nothingness into sound that possesses actual weight and intensity. And all this is delivered by a tender shaky voice that sounds unsettled and searching, full of longing and honesty ... and no regret. Jason finds many voices here, at times verging on controlled refined noise, while at other points he pulls together a warm Delta blues sound filled with enough soul to bring to mind the likes Wilco’s "Red Eyed & Blue." But the comparisons don’t stop there ... like a living hallucination, Jason draws from everything, even himself (Spiritualized and Spacemen 3), coming at you from just outside your field of vision, until you’re rolling so in tune with the music and the concept, that like any good drug, there’s no way out, you’re locked in for the rest of the trip. And it’s a warm introspective psychedelic ride to be sure, one that opens with a great bit of pop wanderlust, and then slowly unwinds like the spring of a mechanical watch, giving all, while winding down into oblivion. *** The Fun Facts: Poppy Spaceman named in true psychedelic fashion is Jason’s daughter. 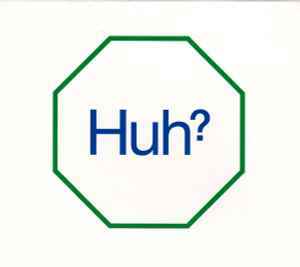 Read on spiritualized message board that many of the UK white vinyls were VERY badly pressed (sound all muffled and bad) and they are offering a replacement black vinyl. Read up if yours is bad. US sounds great.